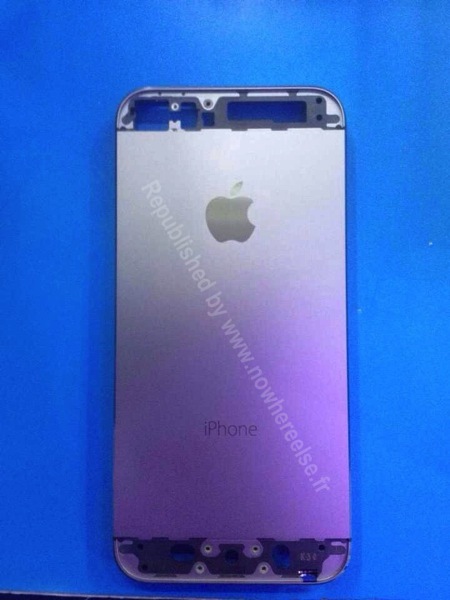 New images have surfaced of what appears to be the upcoming iPhone 5S shell that reveal modified internal screw attachments and more importantly, a modified home button area, reports NoWhereElse.fr. The site has been a reliable source of leaked parts in the past and this time around, they compare the iPhone 5 rear shell to the alleged iPhone 5S rear shell. What’s interesting here is a previous leaked PCB component appears to fit perfectly over the leaked shell’s attachment points, alluding to the possibility the latter could be authentic. 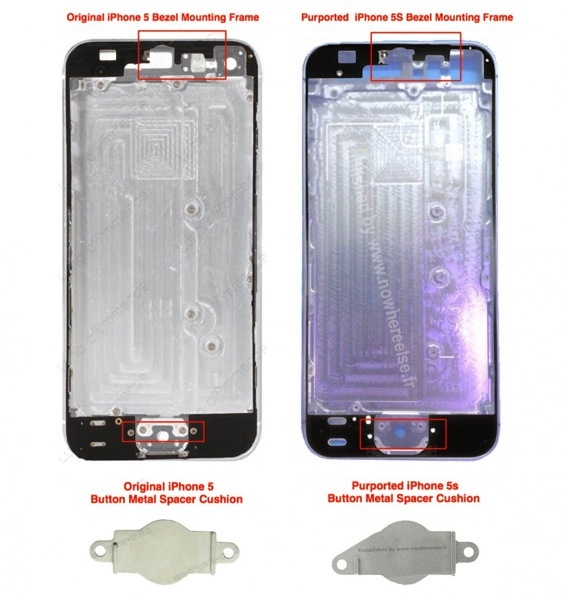 Moving to the lower portion of an alleged iPhone 5S bezel mounting frame, the home button area appears to be redesigned along with a new button metal spacer cushion, when compared to the iPhone 5. A rumoured feature of the iPhone 5S is a fingerprint sensor built into the home button, which could be convex, according to one analyst. Apple is expected to announce its new iPhone 5S at a special event taking place on September 10, with the possibility a new lower-cost iPhone 5C to debut as well, as recently more leaked images and videos have continued to reveal its plastic outer shell.